The Qualicum Beach is so happy to show you how you can relax with the only nature. 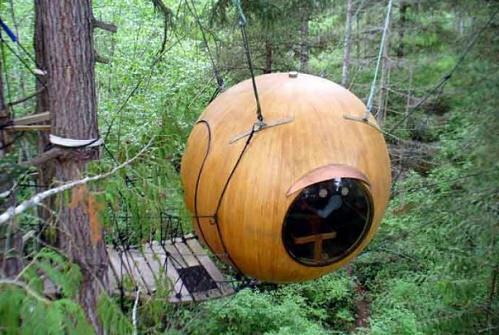 There are some rooms, which are called Free Spirit Spheres, where you can feel absolute privacy with your own creative energy. In the childhood we all dreamed about the home on the tree. You can book it now! Everything is made by wood. There are only you, your personal spirit and the nature.